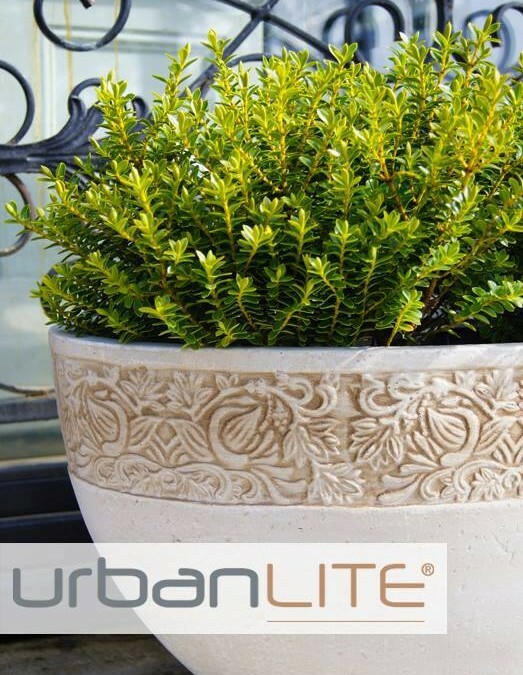 Melissa King Talks About UrbanLITE Pots! I’ve been a fan of lightweight pots for as long as I can remember. When I was younger I lived in apartments and the only way that I could really feel like I was gardening was to chop and change the potted displays on my balcony every few months. That meant constantly transporting pots and plants up flights of stairs or negotiating elevators. That’s when I fell in love with Northcote’s urbanLITE collection. I wanted stylish pots that didn’t weigh a lot – and that’s exactly what I got. The latest colours, styles and look without the hard work. Now I use light weight pots to move potted displays around entertaining areas or to where colour and interest is needed most. Right now I’ve got a set of sand coloured urbanLITE Addison Egg pots filled with pretty pink flowering native plants like Brachyscomes, Correas and Croweas sitting on my patio. It’s the first thing I see in the morning when I open the kitchen blinds. But who knows what I will put in them next season or where in the garden they’ll be. For me that’s the beauty of pots, nothing’s permanent! So I can change my mind as often as I like and create dazzling, seasonal displays that can be moved around the garden to brighten any spot. For the latest styles and shapes in Northcote Pottery’s urbanLITE collection visit www.northcotepottery.com/pottery/urbanlite or follow us on Facebook to keep up with the latest pot and plant trends.